GRETCHEN WARD WARREN has been a Professor of Dance in the College of Visual and Performing Arts at the University of South Florida in Tampa since 1983. Prior to this, she was Ballet Mistress of American Ballet Theatre II in New York for five years, working closely with Richard Englund and Mikhail Baryshnikov in the recruitment and training of young dancers from across the country. From 1965-76, she danced as soloist with the Pennsylvania Ballet, touring nationally and performing leading roles in a diverse classical and contemporary repertoire that included works by Petipa, Fokine, Limon, Balanchine, and Van Manen. 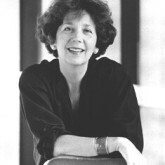 She has studied ballet pedagogy in England and the USSR and has taught teaching seminars throughout the United States and Canada, as well as in Europe. Ms. Warren has been a member of the summer faculty at the Boston Ballet School, at Canada’s National Ballet School in Toronto and the Banff Centre School of Fine Arts in Canada. Among the many other schools on whose faculty she has served are The Australian Ballet School, the InterlochenArts Academy, the Ballet Aspen (formerly, Ballet West) Summer Dance School, the Kansas City Ballet Summer School (Crested Butte), and the Ballet Austin Academy (Texas). She has also taught at the National Ballet School of Cuba. Since moving to Florida, she has choreographed seventeen ballets and been the recipient of a number of grant awards for a variety of creative endeavors. Her documentary, “To Dance…”, a film on young men who choose dance as a career, appeared on public television in the spring of 1989. Her large, photographic textbook, Classical Ballet Technique (417 pgs., 2700 photographs, Foreword by Robert Joffrey) was published by the USF Press in November 1989. It is now in its seventh printing and distributed internationally. In 1999, it was honored by Amazon.com as their bestselling title among books on dance notation. Her latest book, The Art of Teaching Ballet: Ten 20th Century Masters, (University Press of Florida, 1996) profiles ten great ballet teachers from around the world. Also a bestseller, it was recently translated into Japanese and published in Tokyo. In addition to her work as teacher and choreographer, Ms. Warren is also a member of United Scenic Artists and has designed costumes for many dance companies including American Ballet Theatre, Pennsylvania Ballet, Les Ballets Jazz de Montreal, and the Miami City Ballet. She is listed in Who’s Who in America, has served as a consultant-site visitor for the National Endowment of the Arts Dance Panel, as Ballet Adjudicator for the Spokane Music Festival, and as President of the Florida Dance Association. Currently, she serves as a dance assessor for professional ballet training institutions funded by the Department of Canadian Heritage. In addition to her two books, Ms. Warren has also written for DANCE MAGAZINE, DANCE TEACHER NOW, POINTE magazine, THE ST. PETERSBURG TIMES entertainment section, and for public radio WUSF-FM in Tampa. 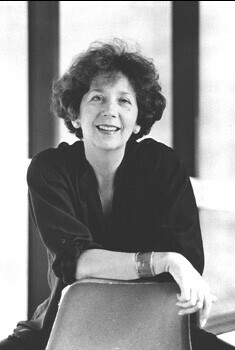 In 1997, she was awarded a Fulbright Senior Scholar Fellowship to Australia, where she spent six months teaching ballet, lecturing on American dance, and conducting research on contemporary Aboriginal dance companies. Subsequently, she wrote and directed a large dance-theatre production “Dancing with the Wheel of Ever Returning,” which brought Aboriginal dancers from Australia to work with Native American and modern dancers in Florida. Tampa’s Weekly Planet designated it “Best Theatrical Event” for 2001 in the Tampa Bay area. She is the 2002 recipient of the Selma Jeanne Cohen Lecture Award for International Scholarship in Dance from the Fulbright Association and a 2003 recipient of a Presidential Scholar Award from the University of South Florida. Most recently, she presented the keynote speech at the 2005 Annual Seminar for Ballet and Modern Dance Teachers at Canada’s National Ballet School.